get lost deleted formatted documents back from FAT 32 / NTFS / exFAT hard drive system or external drive, usb drive. Use "Undelete" mode to get deleted documents files back. Use "Unformat" mode to get lost documents files back after format hard drive . Use "Recover partition" mode to get documents files back if hard drive partitions changed or damaged or deleted. Use "Full Scan" mode to get lost documents files back if partitions show as "raw" or get deleted documents back which can not be found with "undelete" and "unformat" and "recover partition",get documents files back from raw partition,get documents files of partitons back which are not NTFS,nor exfat,nor fat32. Support deep and full scan lost data from partition , hard drive, usb. completely recover all data from hard drive. How to get document back? "I don't find my documents! I didn't delete them, format them or do any other operation on them. But they are disappeared!" People sometimes complains about this kind of issue. Don't worry about that, your documents may be located at somewhere else. 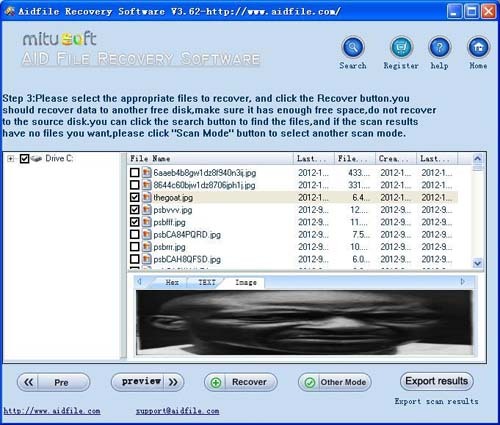 Aidfile Recovery Software is the right data recovery software that helps you to recover lost documents with ease. No matter your lost documents are actually deleted, formatted or damaged, it always has a way to get lost documents back. 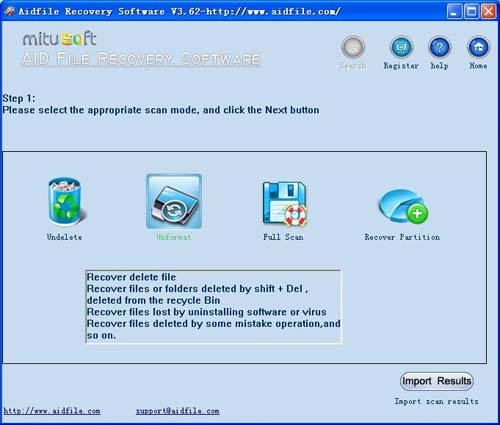 And the whole recover process is quite simple and quick if you just follow the lost documents recovery in this software. And after a short while, you will find your lost documents are listed in the recoverable files list. The only thing you need to do is just save the documents to a safe place. 1,Select "Recover Partition " or "unformat" or "undelete" or "full scan". 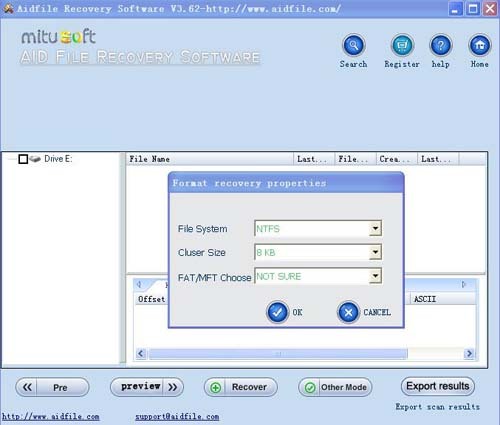 2, The documents recovery software will guides you to recover formatted or lost documents. 3, Partitions' list will be displayed in it, and you can choose documents and next. 4, With the full search of documents recovery software, files will be recovered.